When we transition into adulthood, we grow out of many things we once did as a children. Rightfully so. As a child, I would just look up. I would look up in amazement of the colorful blue hues in the sky. I was in amazement of the stars, the sun, the moon, the clouds, the rain, and rainbows. I have always been amazed by my surroundings, especially nature and my love for being outside. As an adult, I’m still looking up. I still look up in amazement of the beauty that spans across our skies. However, I now look up in amazement and awe for who created the natural and beautiful artwork. Frankly, it is unfathomable! 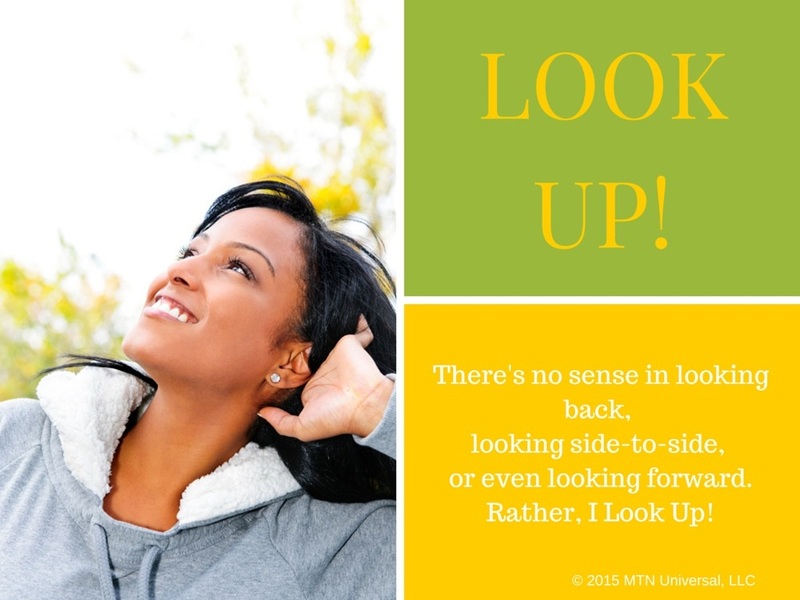 No matter what I am going through, good or bad, I look up. I don’t look up out of arrogance or conceit. I will never look up to ignore the present problems of our world. I look up because there’s no sense in looking back, looking side to side, or even looking forward. I look up because of the importance of my vertical relationship. I look up for the hope that lies before me. I look up to find the positive in everything. I look up to see things from God’s perspective. It is important to look up to turn your attention to things that matter most; to examine your expectations. Looking up can give you a new or different sense of direction. So, give it a try. Take some time today, everyday, to step outside and bask in the glory around you; breathe in your surroundings and look up! Question: What childhood memory or activity can you recall that takes you to your happy place or helps you keep things in perspective? Leave your comments below.